My closet is full of work clothes, but I can only classify one outfit as "the perfect work suit". My perfect work suit fits me like a glove. It looks good standing up for a presentation - it looks good sitting down for an interview. 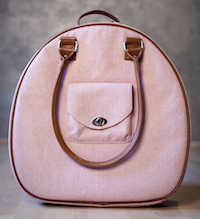 I can trust it to carry me through the day with confidence and it always adds a little spring in my step. The Sumo Professional Laptop Briefcase from Mobile Edge, with its funky look, sturdy construction, and superior laptop cosseting capabilities makes it the perfect briefcase counterpart to my perfect work suit. 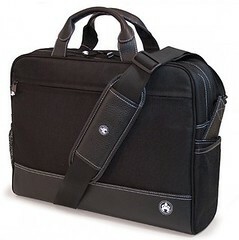 You can read the full review of the Sumo Professional Laptop Briefcase over at Squidoo.